What Lexie Loves: Loom bands!! Now, I bet you knew this too but at the moment everybody is into - loom bands. The whole world is loom band crazy. Everyone loves them, including me. 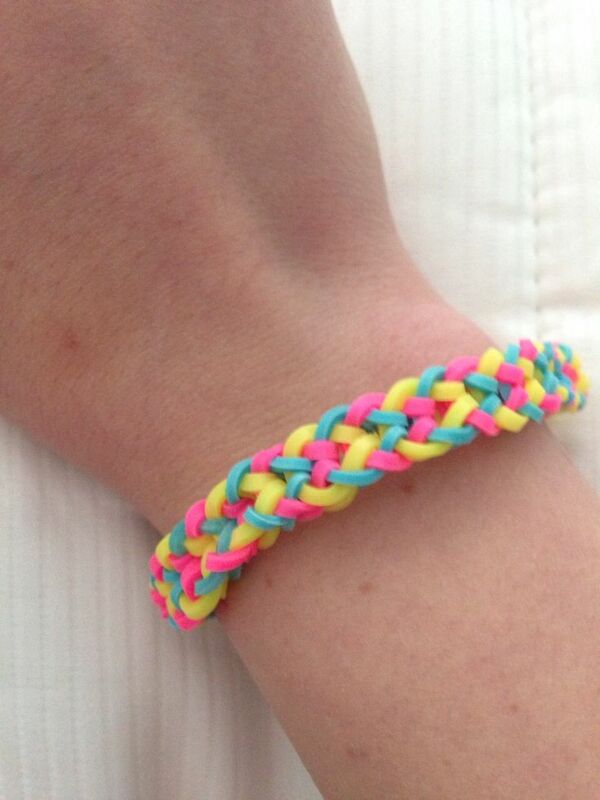 In fact my friend Molly (who also has a blog www.mollymails.wordpress.com) and I started up a loom band business where we sell loom bracelets to other people. (Money goes to two charities.) So far the most popular thing on sale is Olaf, they are really cute and everyone loves Frozen. My favourite bracelet is inverted fishtail as these are simple to make but have a very pleasing outcome. 1. First find your first band and make it a figure of 8, put one of the holes on one finger and the other one on the second figure. 2. Then get another band - this time put it on your fingers not as a figure of 8. 4. Get the bottom band and pull it over the top and let go, one hole at a time. 6. This time find the middle holes and pull them below the bottom holes. 7. The ones that are now in the middle get pulled over the top. 9. Now when you have two bands on your fingers and the bracelet is long enough pull the bottom band over. Ta-da!! There you have it, your inverted fishtail!! Ooh, this was so fun to do! I made some for all of my friends! Hey, could you check out my new posts! Thanks so much Lexie, you're a great blogging friend. Thanks back to you you're a great blogging friend too.